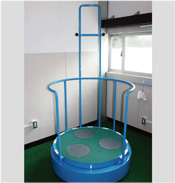 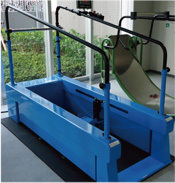 Ohtake Root Kogyo uses its knowledge and experience from many years of manufacturing, for contract production of original machines used at gyms. 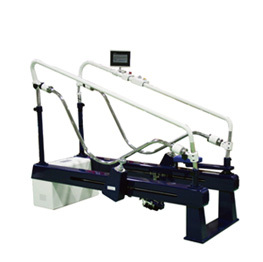 QOM training has various features and benefits, so people can increase machines used one at a time according to their needs. 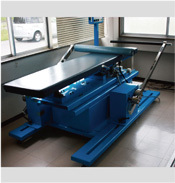 Ohtake Root Industry manufactures and sells original QOM Master brand machines. 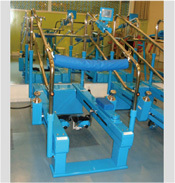 No minimum quantity required, so please contact us first. 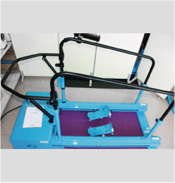 Provides stable speeds from low speed to high speed (18 to 20 km/h, 11 to 12 mi/h). 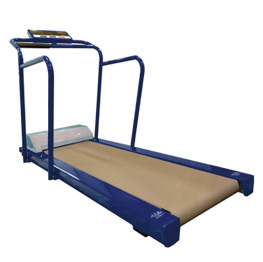 It has low height, 50 cm belt width, and 176 cm belt length, so there is little worry about running outside the belt, and people can use large strides. 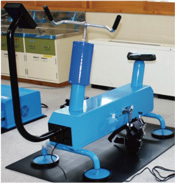 Basic machine of QOM training. 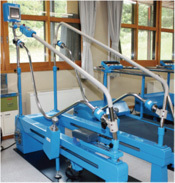 People put both feet on the pedals, and adjust the standing balance of their body while sliding their feet. 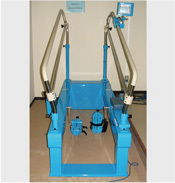 An electric switch makes the left and right pedals automatically move in the opposite directions. The stride can be adjusted in the range of 20 to 70 cm (8 to 28 inches), and the speed can be adjusted within the range of 5 to 100 cm/second (2 to 39 inches/second). 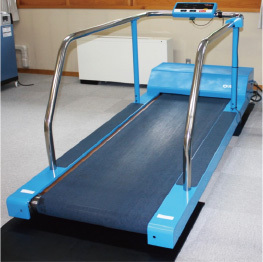 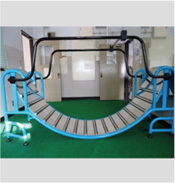 It is also effective for rehabilitation training to enhance walking ability, and it is a machine to learn knee-waist same-side motions.